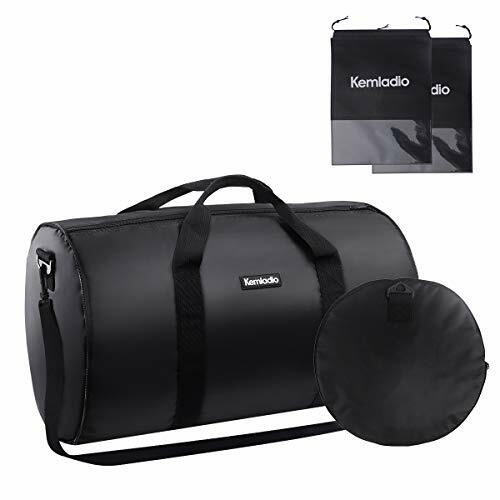 This travel bag has a large capacity for clothes,shoes,toiletries and all necessary gear for your travel or gym. Great piece of extra luggage for when you've bought too much on holiday and you need something that doesn't take up space in your suitcase. Great bag for for sports, gym, travel, shopping, camping, hiking and daily activities. Strong comfortable handles and adjustable shoulder strap for easy carrying. Easy to fold and easy to unpack. Just pull the zipper all the way to the end to a small round bag. It can be folded into a compact size and it is super lightweight for easy carry. Soft to touch, wear-resistant, enough durable for your trip. If you have any questions about this product by Kemladio, contact us by completing and submitting the form below. If you are looking for a specif part number, please include it with your message.